Have you ever tried merguez? It’s my new favorite sausage and one I recently discovered thanks to a vendor at our local farmers market. This spicy lamb sausage tastes great grilled, and it’s also fabulous on these single-serving pita pizzas. Preheat oven to 350 degrees. While oven is heating, brown sausage in frying pan over medium heat, using spatula or large spoon to break meat into crumbles. Remove from heat drain fat from pan. Place two pita rounds on two baking sheets. Combine tomato sauce, oregano and garlic powder in a bowl and whisk with fork until blended. 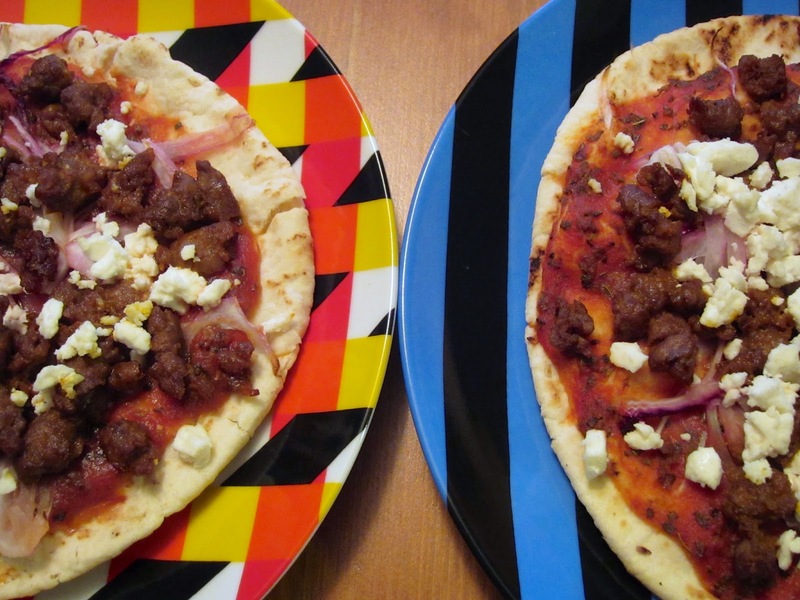 Divide sauce among the four pita rounds, followed by the red onions, feta and merguez. Bake pizzas for 15 minutes, remove from oven and serve. One of the many reasons why I love my slow cooker? Throw some meat in with a little sauce, simmer for a few hours and BAM! Shredded, meaty goodness. I recently revisited the barbecue chicken aspect of this recipe and crafted up some seriously delicious bowls. 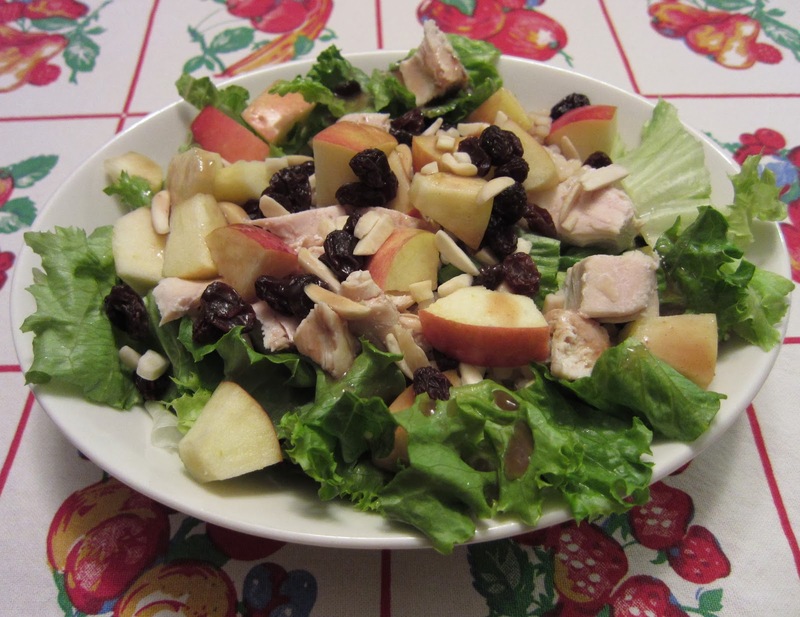 Combine ingredients in large salad bowl and enjoy! Not sure about you, but little Loryll was a biiiiig fan of french-bread pizzas. This is my grown-up attempt take on this special, easy treat. I’ve balanced out the food groups just a little bit more -- less pepperoni and bread, with more veggies and still plenty of delicious cheese. Preheat oven to 450 degrees. Slice the focaccia horizontally so you’ve got two thin, flat pieces to work with. Place each focaccia slice on a baking sheet. 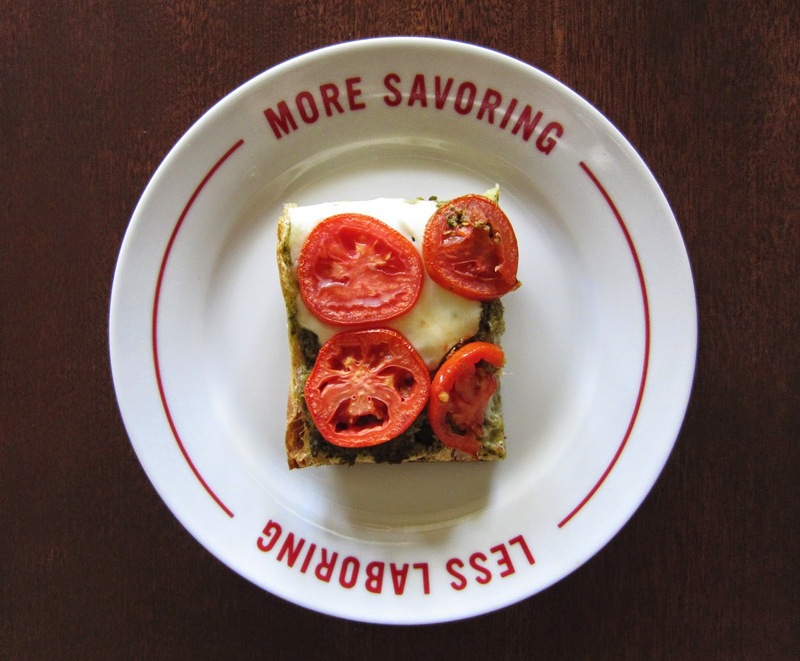 Spread pesto sauce on one piece of the focaccia and top with half the mozzarella slices and all of the tomatoes. 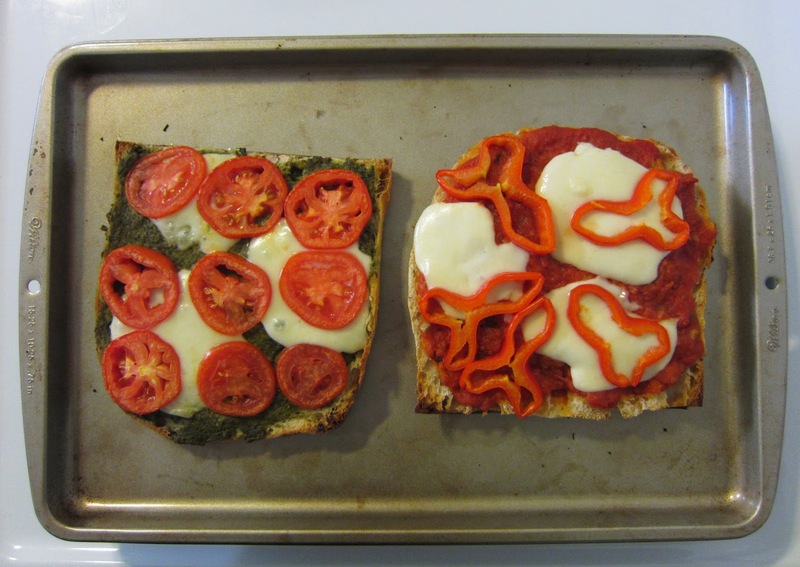 Evenly cover the other slice of focaccia with marinara sauce, remaining mozzarella and red bell peppers. Bake the pizzas for 10 minutes before removing them from the oven, slicing and serving. Want a thick, creamy soup without adding any dairy? My favorite trick in the past has been to purée some, if not all of my ingredients, with our trusty Vitamix after everything’s had a chance to simmer. However, scooping steamy soup into a pitcher can be a bit hot and messy, so with this recipe I opted to purée before cooking. Less mess, and tossing the whole onion into the blender meant less time chopping. Piece of cake. 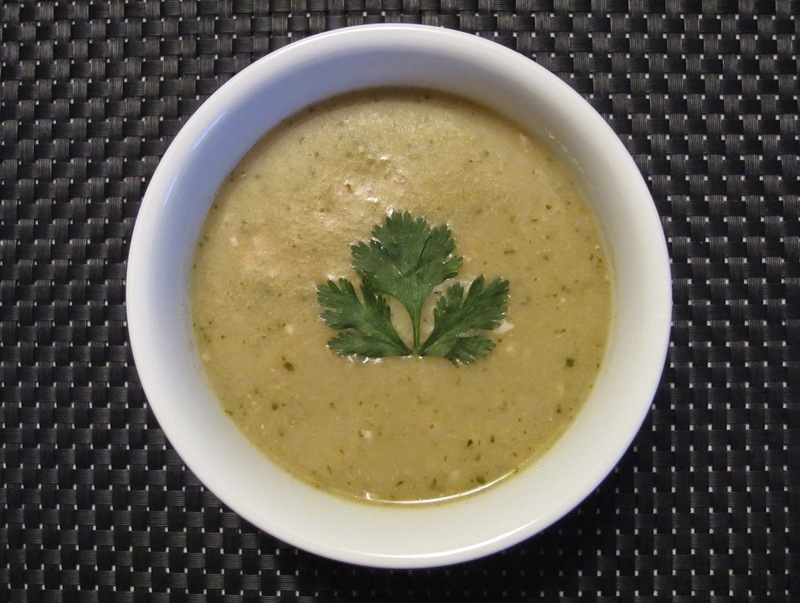 Put two cans of beans, broth, onion and cilantro in blender pitcher, add lid, and blend ingredients until smooth. Heat olive oil in soup pot over medium flame. Add garlic and cook for a minute or two, until aromatic. Pour contents of pitcher and remaining beans into pot. Stir in cumin. Increase heat and bring soup to boil. Reduce heat, cover pot with lid and let soup simmer for 20 minutes, stirring occasionally. Season with salt and pepper, as needed. 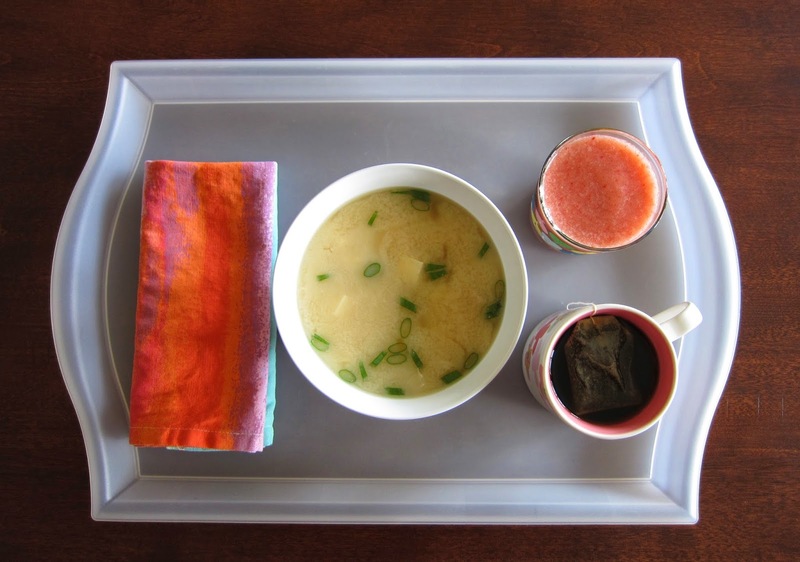 Remove soup from heat and stir in the lime juice. Divide soup among four bowls and serve. I don’t know about you, but it seems like a lot of people I know are in for a bountiful summer of home-grown goodies. My Facebook and Instagram feeds are blowing up with lovely photos of herbs, fruits and vegetables grown in backyards and container gardens. Me? I’m about to bring in my first ripe Early Girl of the year and can’t wait to take a big bite out of that gorgeous red tomato. Use this recipe the next time you find yourself wondering what to do with a cornucopia of sun-ripened veggies from the garden (or just want a quick meat-free dinner idea). While I used zucchini, bell pepper and mushrooms, pretty much any mix of vegetables will work just fine. Bring 6 cups water to boil in saucepan. Add quinoa and continue boiling for 10-15 minutes, until quinoa is soft. 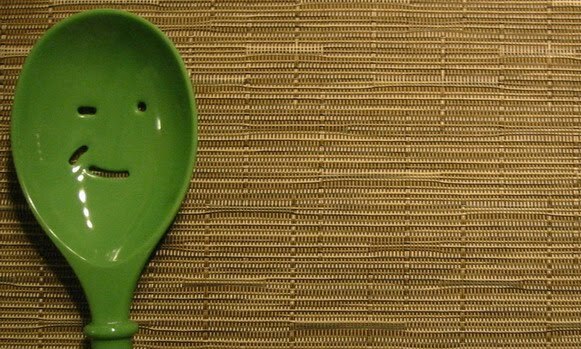 Remove saucepan from heat and drain. While quinoa is boiling, heat vegetable oil in frying pan or skillet over high heat. Add vegetables and cook for a couple minutes, stirring occasionally, until they’re tender but not mushy. Reduce heat to low and add fajita seasoning and appropriate amount of water indicated on the packaging. Let simmer for a couple minutes, stirring occasionally so the veggies get a nice saucy coating. 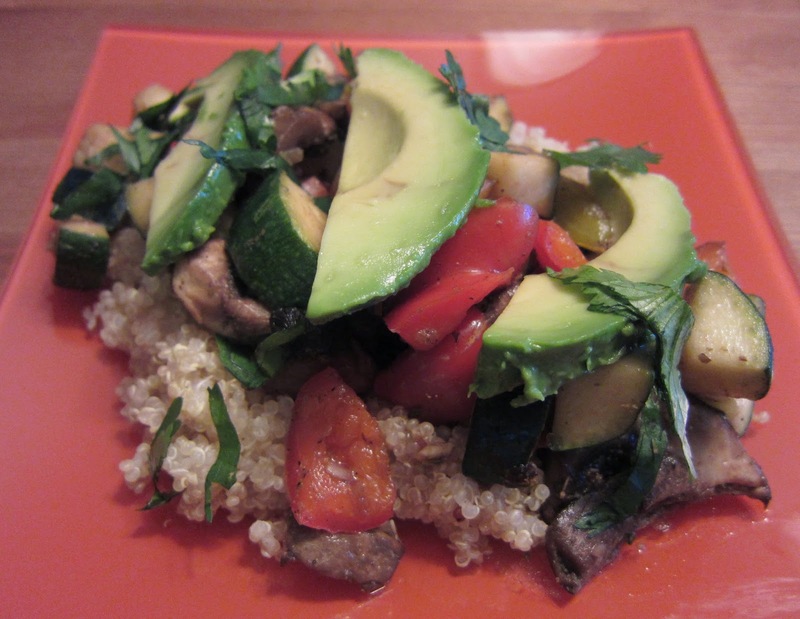 Scoop some quinoa into a couple bowls, top with veggies, garnish to your liking and enjoy! Who doesn’t love a good meatball? While handmade always beats the competition, I’m also a big fan of buying a bag of frozen meatballs when there’s not enough time or motivation to start from scratch. Simmer pre-made meatballs with a jar of your favorite marinara, serve with creamy polenta (so easy when using the technique described in this recipe) and top with fresh basil and you’ve got a delicious dinner takes about 30 minutes to make, doesn’t require much prep work and won’t leave you washing dishes all night. Bring chicken broth to a boil in large saucepan. While waiting for broth to boil, place meatballs and marinara in large sauté pan and cover, cooking over low-medium heat and stirring occasionally, until meatballs are thoroughly heated, roughly 30 minutes. Once broth is boiling, gradually add polenta and bay leaves, stirring for a minute or two, before reducing heat to low and covering the saucepan. Simmer for 30 minutes, stirring the polenta for a minute every 10 minutes. Remove pan from heat and discard the bay leaves. Divide polenta between four dishes. Top each dish with meatballs, marinara and basil. Tonight’s Make-Fast Monday dinner is the end result in taking what I love about this recipe and ramping it up while scaling back the pasta. 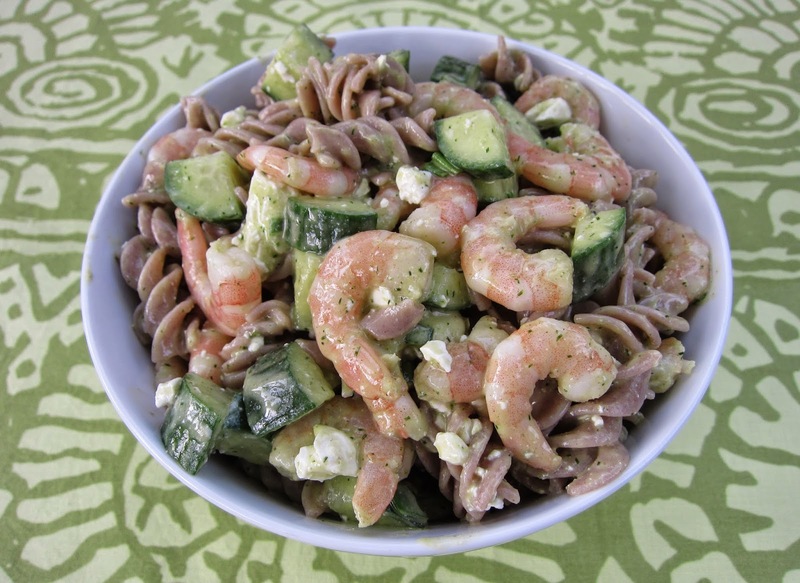 The end result is an entree-worthy pasta salad loaded with delicious shrimp, crunchy cucumber and a delightfully dilly dressing. 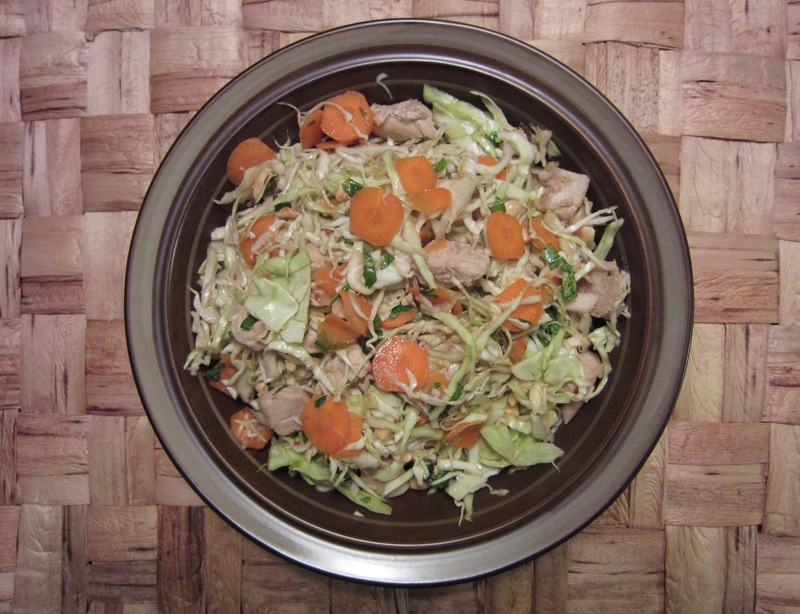 It’s easy to prep all the components of this salad while boiling water and cooking your pasta. It’s also worth noting that I used Trader Joe’s Brown Rice & Quinoa Fusilli Pasta, a new favorite, but a whole-wheat pasta would also yield similar results. Blend olive oil, Dijon, dill and white wine vinegar in a blender until smooth and creamy. Combine remaining ingredients in large bowl, and stir in dressing until everything’s evenly coated. This is not a quiet salad. Cabbage and pepitas give it plenty of satisfying crunch, and the shrimp possess a nice kick thanks to garlic, cayenne, cumin and lime juice. Create salad dressing by whisking 2 tablespoons lime juice, agave syrup, salt, 2 tablespoons olive oil and cilantro in a bowl; set aside. Heat remaining 2 tablespoons in frying pan over medium-high heat. Add garlic to pan and sauté until fragrant, just a minute or so. Add shrimp to pan with cumin, cayenne pepper and lime juice. Cook shrimp for 4 or 5 minutes, stirring frequently, until pink. 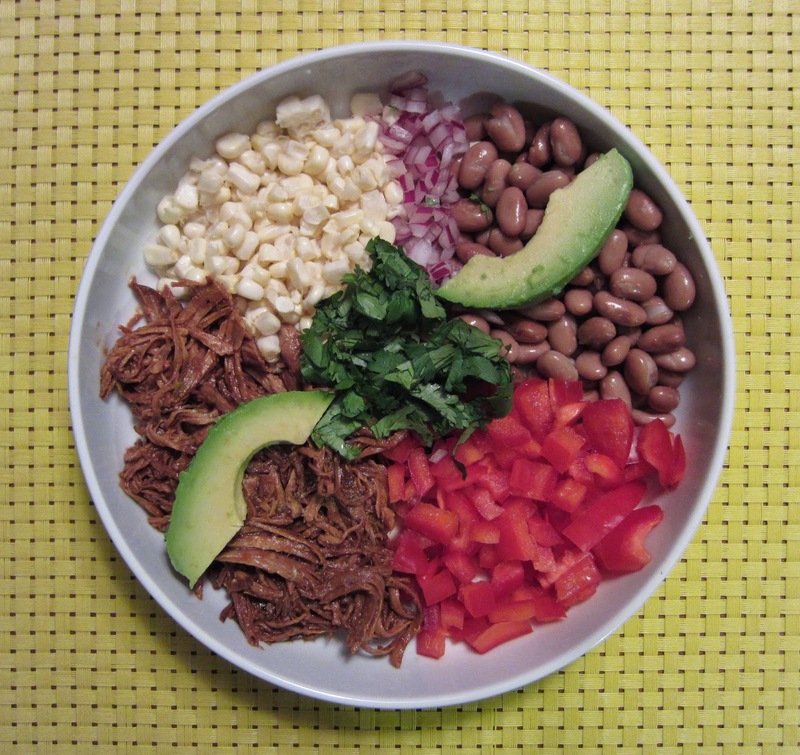 Build salads by equally divide shredded cabbage, beans, shrimp, avocado and pepitas between two large dishes or bowls. Top with salad dressing and enjoy. Throw a couple additional items in your shopping cart and you’ve got a great, grilled dinner in your future. The sausage is already cooked and doesn’t need to soak in any marinade to pick up flavor. Grilled veggies taste great on their own, and even better with a little dash of seasoning. It’s worth noting that I use metal skewers because why waste money with one-and-done bamboo skewers? I’m also a big fan of flexible metal skewers, which seem to hold at least double the food as a regular skewer. Don’t have a gas grill or don’t feel like cooking al fresco? Heat a little olive oil in a large frying pan and stir-fry the sausages and vegetables for a few minutes over medium-high heat. No matter how you prepare this meal, it’s going to taste nice and springy with some pasta salad (no shame in buying some at the deli counter) or rice pilaf (which you’ll want to start before skewering the sausage and vegetables). Prepare your grill (medium-high heat did the trick). Alternate sausage, peppers and mushrooms on skewers. Place skewers on platter and dust skewers with seasoning. Grill until sausage and veggies have some good grill marks but aren’t overly charred, turning skewers occasionally, about 8-10 minutes. Remove sausage and vegetables from skewers and serve. If you’ve seen “Anchorman,” I’m sure you can recall Ron Burgundy singing “I love scotch. Scotchy, scotch, scotch.” Well, my version of this song would be all about mushrooms, and while it might not be as catchy, and definitely has more syllables, the idea’s still the same because I love putting mushrooms in and on everything! I had planned to grill these mushroomy burgers for dinner last night. However, I did this without checking the forecast. It’s been raining quite a bit today, so instead of monitoring my burgers while wearing a raincoat and headlamp, I brought out Nana Dollie’s trusty cast-iron skillet instead. I think cooking everything in one skillet made the flavors even better. Form ground beef into three patties. Place patties on a plate, season each side with a little bit of salt and pepper, and set plate aside. Heat 2 teaspoons oil in cast-iron skillet over medium heat. Add mushrooms and sauté, stirring occasionally, for five minutes or so. Put mushrooms in a bowl and tent bowl with aluminum foil. Increase heat to high and add remaining oil to skillet so surface has a light overall coating. Place patties in skillet and cook for three minutes before flipping. Cook patties for additional 5-7 minutes or until they’re cooked to your preference. Top each patty with a slice of Brie about two minutes before burgers are done. 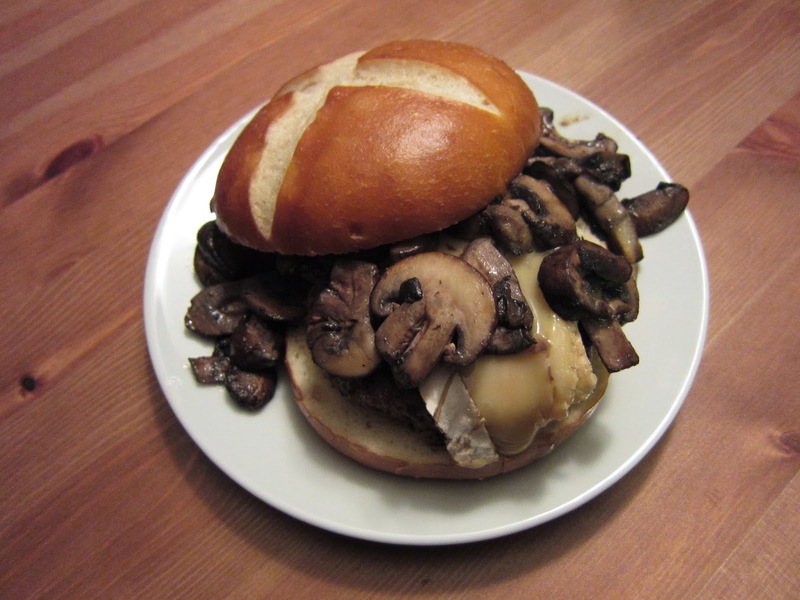 Sandwich the patty, topped with sautéed mushrooms, between buns. We finally got some much-needed rain out here in California. Never thought I’d be so happy to see gray skies and wet roads! While we’ve been waiting for rain to come, I know plenty of friends and family elsewhere in the country who have had their fill of wintry conditions. 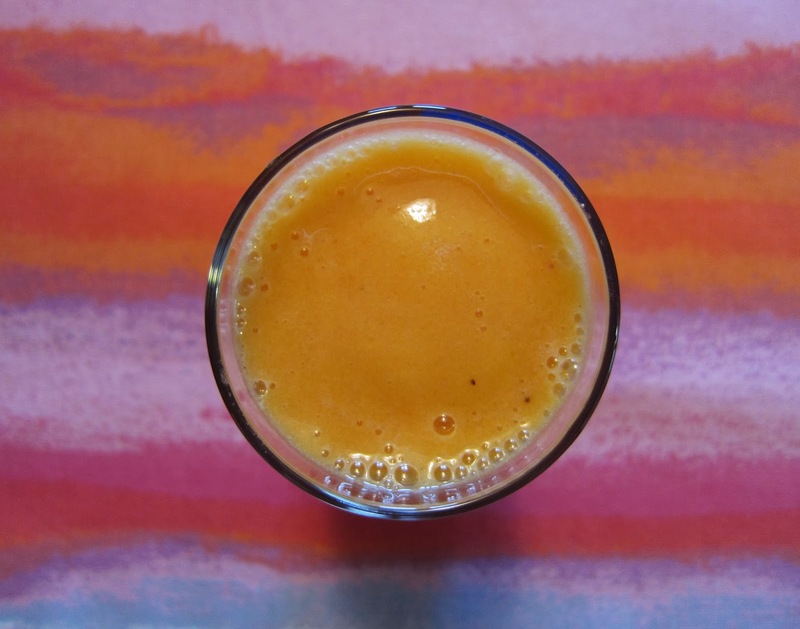 No matter the forecast for your neck of the woods, brighten your day with this smoothie. This recipe makes enough to fill two pint glasses, plus a little extra. Baked ravioli is simply irresistible. How do I know? 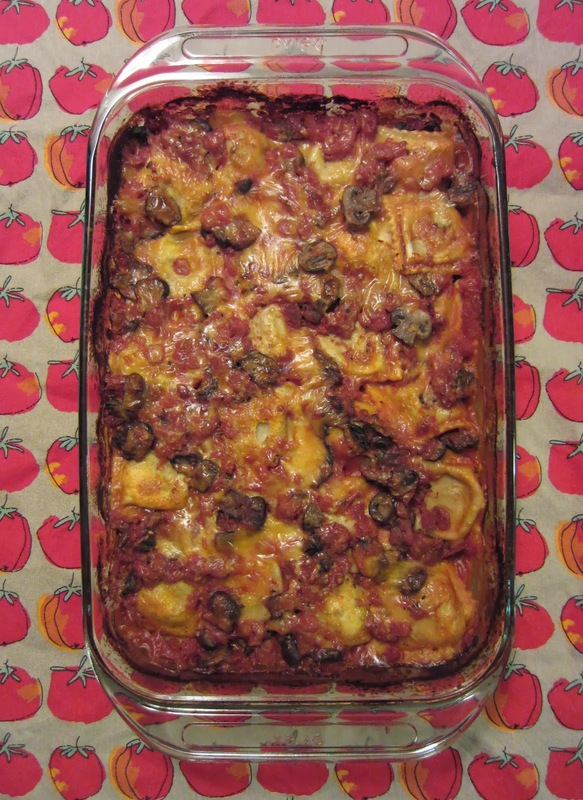 The first time I made baked ravioli, I was fresh out of college and was just starting to experiment in the kitchen. One night, I got the bright idea to take a package of fresh ravioli, mix it in a baking dish with some marinara sauce, top it with plenty of grated cheese, and bake until melted and bubbly. Not too shabby for a first attempt, I thought, and put a mostly full casserole dish in the fridge after enjoying my dinner. Imagine my shock when I opened the fridge a couple days later, ready to enjoy my leftovers, and instead discovered an empty, dirty baking dish. My roommate at the time apparently spotted the ravioli, decided to help himself to what would have been three or four meals for me. Instead of cleaning up after himself and apologizing, he thought it would be funny to put the dirty dish back in the fridge and wait for me to find it. Ridiculous. Let this serve as a warning -- if you make the following recipe, be prepared to fight for your fair share! Preheat oven to 425 degrees. In a large saucepan, heat olive oil over medium heat. Add garlic and stir for about a minute before adding mushrooms. Cook mushrooms for a couple minutes, until slightly soft. Add diced tomatoes, oregano, Worcestershire sauce and red pepper flakes to pan. Let sauce simmer for 10 minutes. Spoon one cup of the sauce mix into the bottom of a 9-by-13-inch glass baking dish. Layer half the ravioli in the dish, cover with a half the sauce, top with one cup of cheese, then repeat. Cover dish with aluminum foil and bake for 45 minutes. Remove foil and bake for another 10 minutes to brown the cheese. Remove from heat and serve. Every day has the potential to be great, but you’ve got to admit -- Fridays are their own kind of wonderful. Muddle mint leaves in cocktail mixer. Add grapefruit juice, vodka and agave syrup to mixer. Cover and shake the mixer. Pour contents into glass filled with ice. 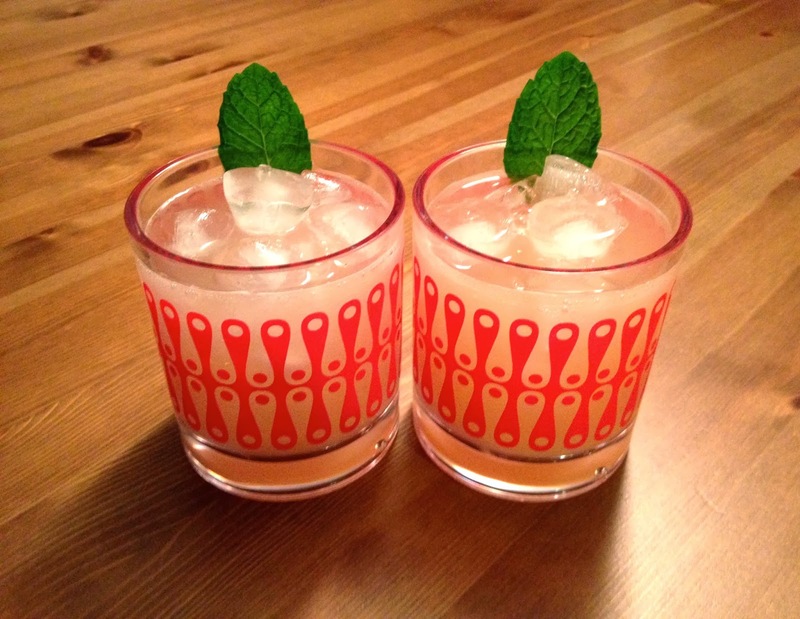 Top off with some soda water, stir, garnish with mint leaf, and enjoy! 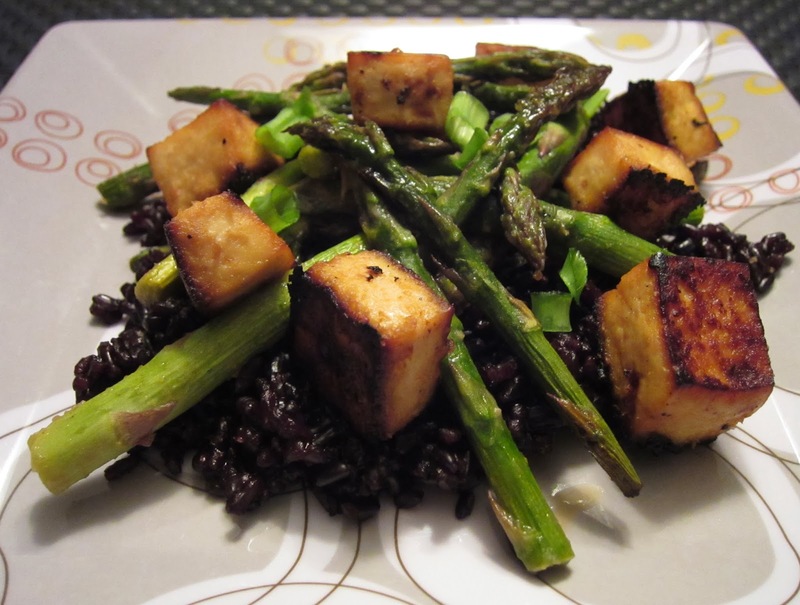 This easy dinner has a lot of things going for it. First off, the key ingredient is delicious salmon. Salmon’s pretty good no matter what you do to it, but it tastes particularly great with this quick miso glaze. Served with some kale wilted with soy sauce and other goodies and you’ve got a wonderful meal that doesn’t take all night to prepare. Whisk miso paste, ginger, vinegar, 3 teaspoons soy sauce, agave syrup and 1 tablespoon sesame oil together in bowl. Place salmon in glass baking dish and coat with marinade. Cover baking dish with plastic wrap and place in fridge for 45 minutes. Position oven rack about 6 inches from broiler and preheat. Line a baking sheet with aluminum foil. Remove salmon from glass dish and place, skin down, on baking sheet. Place salmon in oven, rotating baking sheet once, and broil for 15-20 minutes, until salmon is cooked through. Remove from oven. While salmon is in the oven, heat remaining sesame oil over medium heat in large frying pan. Add kale, soy and red pepper flakes, cooking until kale wilts. Remove from heat and serve with salmon.